Our Tiny Tots class is a wonderful first step to introducing your child to tennis, sports and overall athleticism. This class is designed for ages 2.5 – young 4’s and will feature fun games that are perfectly suited to advance your child’s hand-eye coordination, balance and love for tennis. The Tiny Tots class will serve as a fantastic jumpstart into the sport of tennis and will give each student a unique and fun experience. Many games will feature the use of cones, balloons and props to keep all students engaged and captivated. Our kid friendly staff will provide a fun, creative and positive environment for every child in class. To promote an attitude whereby the child has the desire and courage to learn something new. Our Quick Start program format for ages 6 – 8 yrs old. An introduction for junior novice players consisting of grip techniques, stroke production, enhancement of motor skills and racquet skills, tennis etiquette, and rules of the game. Tailored for junior players to reach the next level of our program, Super Stars. 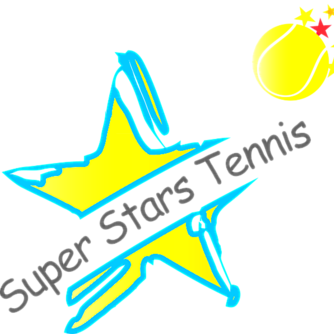 Regulation size tennis court or our Quick Start format for ages 9 – 10 yrs old. For players who regularly compete against other tennis players. This program helps develop the student’s own natural abilities to enable him or her to compete more effectively in competition. Emphasis placed on stroke development, competitive basics, and singles and doubles strategy. Designed for the intermediate player who has a firm grasp on basic strokes and game fundamentals. Kids will continue to develop playing skills, strategy and scoring through competition-based play and training. Also designed for advanced players aiming for continued skill development by focusing on ball striking, stroke techniques, proper footwork and court awareness through situational point format and match play. For high school and middle school players seeking to join varsity and junior varsity school teams. Emphasis is placed on physical conditioning, match play and mental toughness. All students are strongly encouraged to play USTA tournaments to help with match play situations in preparation for competitive high school and middle school tennis.